Are you sassy and don’t feel bad for being bold and confident at all times? 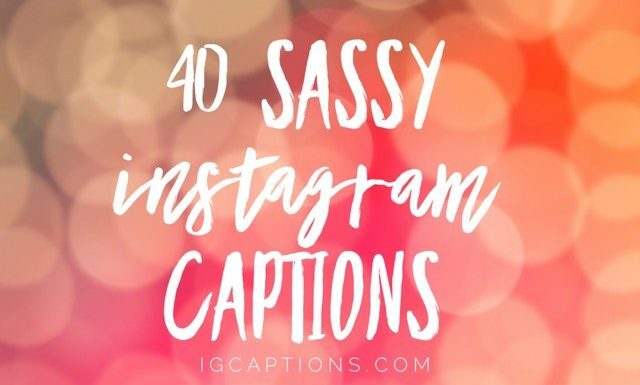 Well if you are we have collected 50 Sassy Instagram Captions perfect for pictures you upload to post about yourself. These different captions are of a great help for you and anytime you are wanting to post a sharp caption you can grab one of these easily. It’s all about being yourself when you post an image because you rely on an image to your friends, and any other followers you have. Get your sassy pants on and start reading through these sassy captions. Happy reading! We hope you found the perfect sassy Instagram captions you needed and you come back next time you need another. We also have a lot of other captions available depending on the topic you are looking for so make sure to check out our site.